Floyd Mayweather is considered one of the hardest-working, most tactically brilliant and all-around great boxers of all time. However, quite possibly at the top of it all, at least according to his easy going, charismatic nature, he’s the highest-paid athlete in the world! And… He acts like it. From a fight against contender Marcos Maidana (May 2014), Mayweather will bring in $32 million alone for the bout. 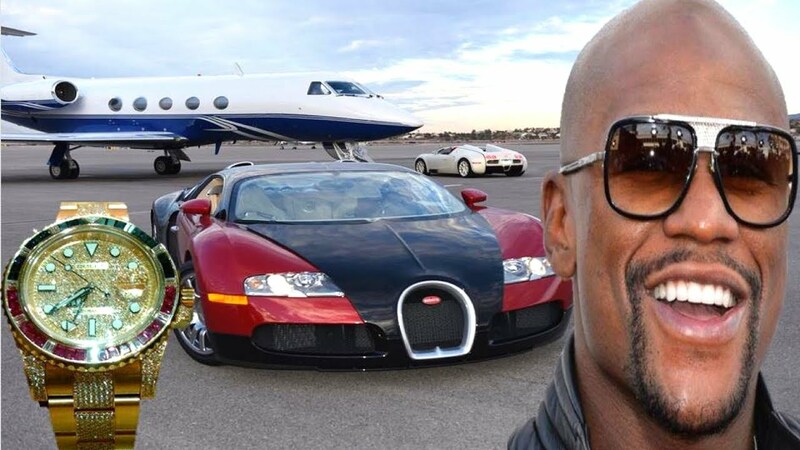 He’s one of the only athletes in the world who can afford to travel with stacks of hundred-dollar bills in Ziploc bags, gamble like crazy, and buy more cars than anyone could possibly need. And here he pauses, seeming to understand he has entered into iffy, Michael Vick-ian territory. I must say, I’m with him… If he chooses to spend his wealth this way, then NO ONE has the right to judge or try to have him change his lifestyle. Last I checked, this is AMERICA! Instagram Video Floyd’s Bathroom: See how the world’s highest paid athlete spends his money around the house! You might be an artist, introducing yourself and your work, or maybe you’re a business with a mission? Our truth, we are both of these, combined into a hybrid representing many different walks of life. This site is a reflection upon similar mindset. Who can we be for you?